It’s official…a new collection of bachelorette party invitations is now available at Pear Tree Greetings! Check them out to see the latest bachelorette invitation ideas. No matter what kind of party you’re planning, we have bachelorette invitation ideas to suit your bachelorette party needs. Looking for just a Little Black Dress Party Invitation? Or even a home party invitation? 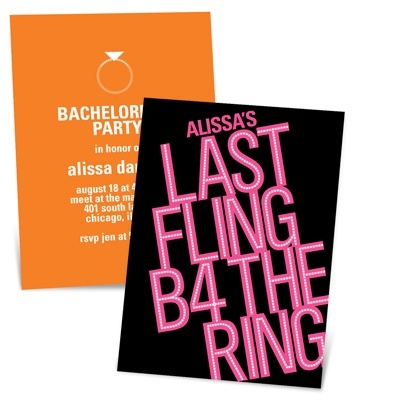 Our entire collection of bachelorette party invitations can be customized to suit your needs! 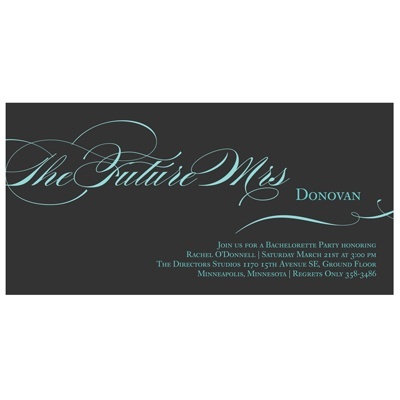 Shop now for bachelorette party invitations, or keep reading our blog for more wedding ideas! ← PreviousGraduation Re-Cap and Contest! These invitations are really cute, I like the fact that they can also help theme a bachelorette party!